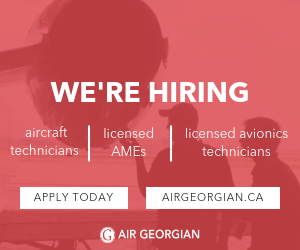 Looking for an Aircraft Maintenance Engineer Apprentice position. I'm a graduate of aircraft maintenance engineer program with approved training in Cat M, looking for an apprentice position. Willing to relocate within Canada. Please find my resume attached. Re: Looking for an Aircraft Maintenance Engineer Apprentice position. kasie ho bai? did you find a job? i looked at your resume you graduated in 2016 and applying for a job now? did u work in the industry ever before? btw i also graduated from RRC which program did u take? 1/ Do you have a toolbox with wrenches, sockets & plyers? 2/ Do you have a car ? Drive to St Andrews airport. Walk around & introduce yourself. - nobody interested in grade - point averages ..
they just want to know if you are reliable & keen to work.